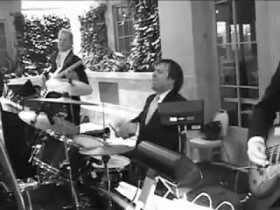 Whether you want a sophisticated dance orchestra, a swingin’ big band, or a rockin’ wedding band – the Stu Hirsh Orchestra gives you all of those musical experiences in ONE very exciting, very versatile group. We may wear tuxedos, but we are a cover band for every occasion. From Unforgettable to Uptown Funk. Every event has just the right mixture of energy and elegance. Unparalleled customer service. Communication is key. You talk to us and we listen. Unlimited consultations with Stu Hirsh, so that you get expert advise and the music that YOU want – making YOUR event fun and unique. Margaret and I loved the music! The band did a great job and I know that B.R. and Katie are so happy with everything. The whole night was exactly what we hoped for. The music you playing at dinner was at a perfect level – just what we wanted. 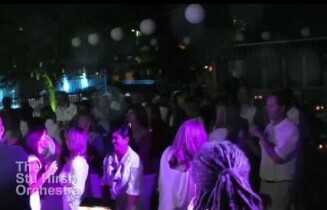 After dinner, you promised great dance music and you definitely delivered. Please thank the band for a job well done. COORDINATE – We are committed to finding the BEST entertainment for YOU. Performing YOUR musical requests is extremely important to us. This is where all the pieces of the party come together. Stu will act as Master of Ceremonies and will work alongside all of the other event professionals, as part of YOUR EVENT TEAM. Every detail is discussed, reviewed, and finally, when everything is just the way you want it, all of the professionals implement your plans. CELEBRATE – Be a guest at your own party! YOUR VISION becomes a reality!!! You have begun your search for a wedding band. And you’re specifically searching for a Chicago Wedding Band. You’re looking for a wedding band with versatility – a Chicago wedding band that can perform all styles of music. When it comes to your ceremony, you want a wedding band that can provide you with the music that you require. 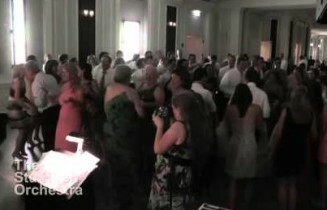 For your reception, you want a Chicago wedding band that can perform at cocktails, dinner and for dancing. 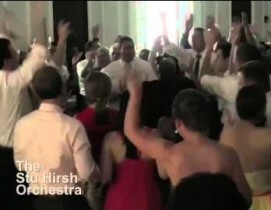 The Chicago wedding band that can do all of these things is The Stu Hirsh Orchestra. 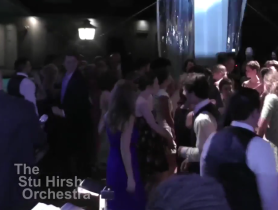 The Stu Hirsh Orchestra is far more than the typical wedding band that you’ll find in Chicago. 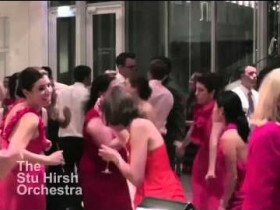 The Stu Hirsh Orchestra is considered one of Chicago’s top dance orchestras. They have performed at over one thousand wedding ceremonies and receptions, plus, they were selected to perform for Princess Diana! What Chicago wedding band can make that claim? Only one…The Stu Hirsh Orchestra. 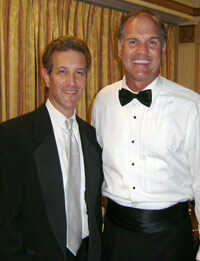 What do Princess Diana, President Bush & Michael Jordan have in common? From Sinatra to Kesha…Van Morrison to Outkast… Madonna to Lady Gaga… Earth, Wind & Fire to Black Eyed Peas… Elvis, Beatles, Stones, Aretha, Bon Jovi…And More!